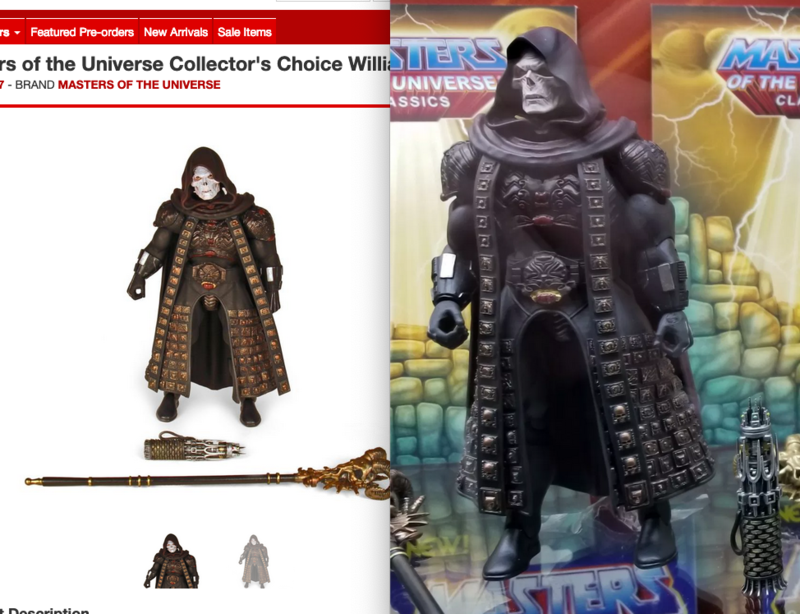 The Masters of the Universe Collector's Choice series continues with the William Stout Collection! Super7’s super detailed deluxe 7-inch Masters are based on the legendary 1987 MOTU production art created by William Stout! Each highly articulated figure comes complete with accessories. I was so excited when I saw these in the Toyfair news. I have been out of MOTUC for 3+ years but the movie designs are some of my favourites. Then i see it's Super7 now, for a brief moment i hoped it would be a lot less annoying that Matty Collector. Then I realized they only sell them in sets of 4, when i only really want He-Man and Skeletor. But wait, BBTS still sell them individually for a $15 premium ($50). OK. So now they have the listing and i'm thinking, that photo looks nothing like the one at Toyfair. I really don't want to miss out but i'm also not gonna risk a disparity like that. I'll wait until they're released. Why must collecting MOTUC be this hard!? The most noticeable difference for me was the face sculpt on He Man. 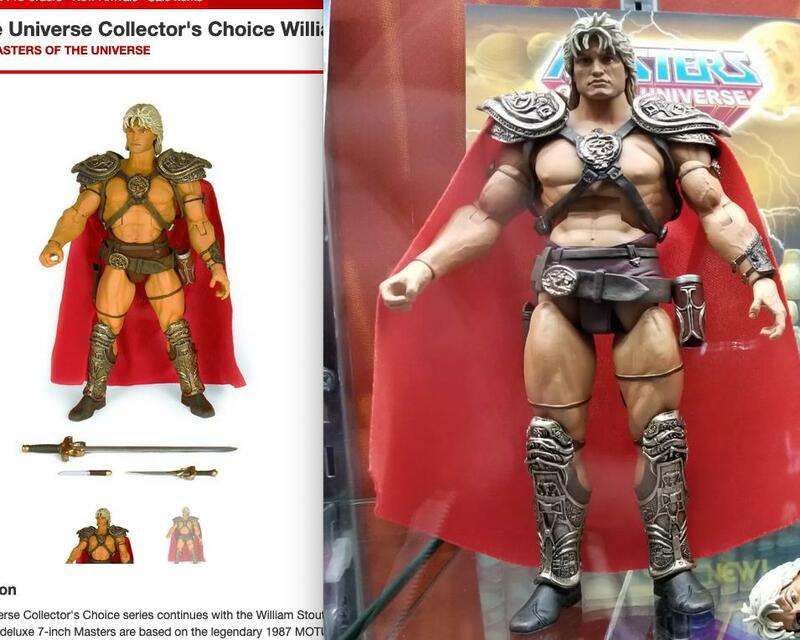 The BBTS listed photo looks a lot more tanned & Dolph-y than that presented at Toy fair. I'm a bit meh with Skeletor as it seems like a case of either lighting and paint, or either/or. They nailed Dolph’s Hair. Look at it. Just look at it sitting there in all it’s glory!! He did have beautiful hair in the movie.